This trip has gone so fast, but it will be etched on the memory for a very long time. It is not for everyone, but it is definitely for us. I would urge anyone to consider doing this. We have had an absolute ball, met some truly wonderful forward thinking and genuinely interesting, sometimes awe inspiring people from all walks of life. 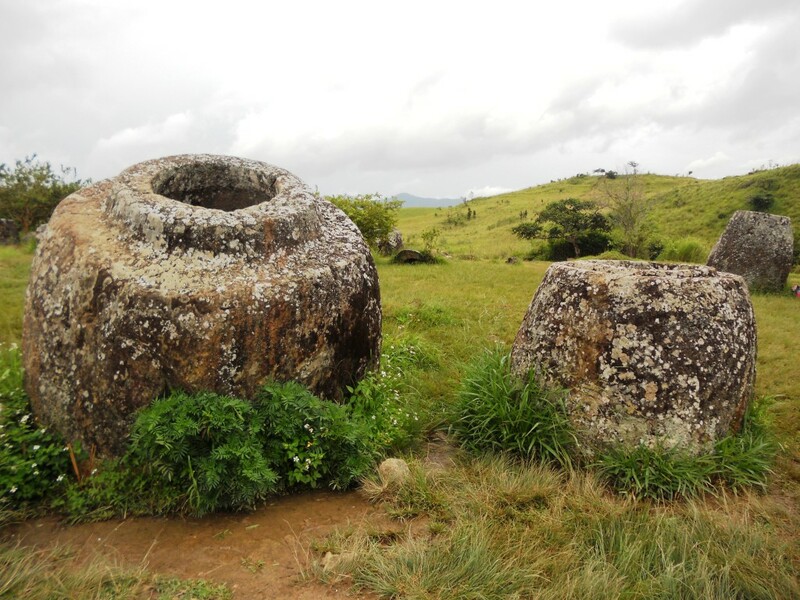 We have made a lot of friends, while sharing the experience of seeing some of the most famous and truly breathtaking ancient historical sites and structures, all the while wandering or trekking through some pretty spectacular rural and urban scenery. In the main, this has been in glorious technicoloured sunshine. Not forgetting the most important thing, the mostly remarkable, hardworking, and happy indigenous people of South East Asia. I can understand the pressure you would feel when contemplating doing something like this, especially if you are in that age group with maybe a career to think about or other responsibilities, such as young kids or family to look after. But even without those considerations, it is still a pretty daunting decision to contemplate and eventually make. The costs are not really that prohibitive, not if you consider what most folk would pay for an annual blowout 2 week vacation. 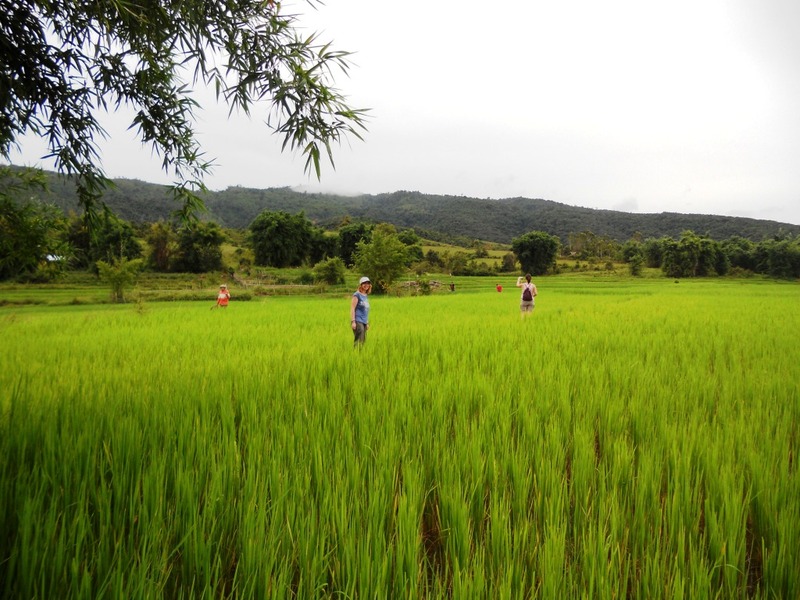 But in order to do this within a reasonable budget, you do have to exercise some restraint, live frugally, and eat and travel as much as possible just as the local people do. 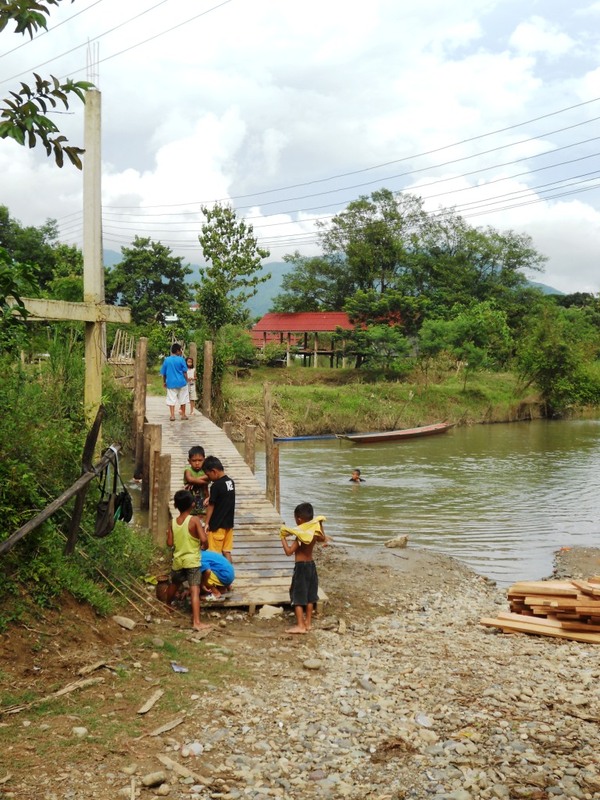 This is quite a rewarding experience as it is, and you will certainly get more of a feel for how these locals live and work, eat and socialize, and generally live their lives. 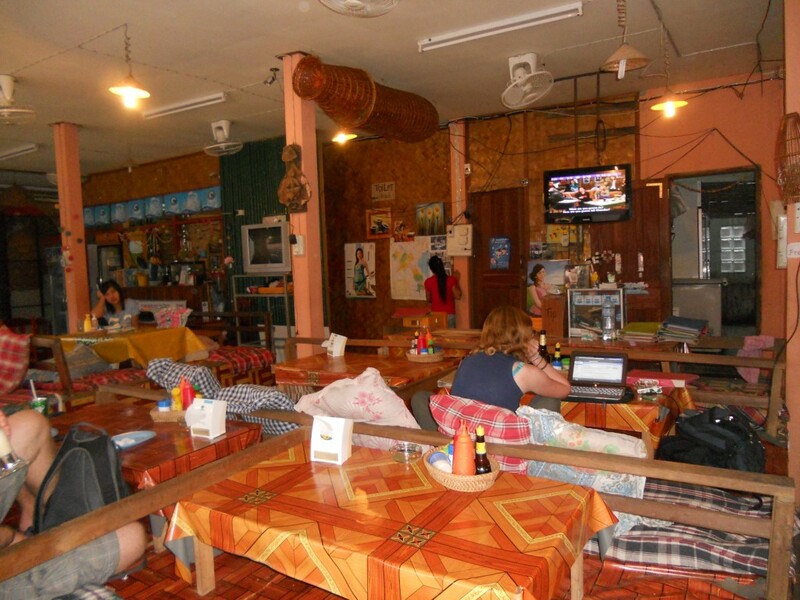 I will put up some indicative costs up later, but in the main, apart from your flights over there, your jabs and insurance, you can easily get around on as little as $20/day including accommodation, food, and a few beers. You can’t live like a monk forever however, and you need to be reasonable and honest with yourself. If you like a beer(s), a smoke (I know ! ), require superior accommodation like Air Con and Ensuite Bathrooms, or just like to indulge in a large food banquet every now and again, you will need to make allowances accordingly. The biggest thing that stops most folk doing this however is probably that uncertainty of returning to real life and getting back into work on their return, especially more so in these trying times of global financial problems and austerity measures. Not just finding work, but also the thought of having to start afresh in a new job, probably in a less senior position, and maybe that feeling of having to start from the bottom again – so to speak. All I can say to that personally is – you are a long time dead. I recall that great line from the now classic movie, in my opinion anyway, The Shawshank Redemption. You just have to have the confidence within yourself, or the complete belief that things will fall into place for you on your return. On the other hand you can just be like me, and just decide it is something you need to get it out of your system and to hell with the consequences. I just felt life was going to fast for me and I really wanted to do this now. Luckily, Michelle was up for it too. So it was now, or never. If you really are that worried, do more saving and planning, and at least have an emergency fund or a fall back plan. Just do not let it paralyze your decision making, have no regrets in life, and live that dream. The thought of the journey itself can maybe feel a little daunting, and a year or however long you plan, will always sound like a very long time. You are venturing into unknown territory with unfamiliar surroundings, cultures and customs, living out of backpacks miles and miles from your closest friends and family. You will have none of your home comforts and very little in the way of luxury, let alone privacy, while living on a modest budget and trying to get around these foreign countries while trying to overcome any language barriers. I can assure you it is easier than it sounds, and with a little time you will suddenly be accustomed to the lifestyle of the traveller, becoming so streetwise that nothing will faze you. Once you make that initial leap of faith however – there is no turning back, and you will have jumped straight in the deep end. You have given up the “secure” job, the steady income, the familiar surroundings of home – said “Goodbye” to all your best friends and family, and turned your back on everything you know that makes you feel safe and secure. On landing, once you feel the heat on your feet from the tarmac, the warm humidity, the sun penetrating your marabone, you will know you are in the right place. A million miles away, and a new beginning. You are now an Adventurer. A proper Traveller, about to engage in a period of aestheticism, with the future before you laid out on a path completely unknown. Prior to that, on leaving your home country and as you enter the airport, check-in your outsize luggage, and make your way to the departure gate, you will be lost in your own thoughts pondering what kind of life affirming adventures you are going to have, what great people you will meet and what great stories and tales they will have to tell. You will wonder what, if any, great stories you will similarly have to tell when it’s all over. In the meantime, that last thought can be put on hold. That future point in time will feel a million miles away, because right now, you are taking the first few steps on a big long adventure. All the negative thoughts you had will be cast aside, all the worry and anxiety long forgotten. You will feel completely overwhelmed emotionally at the thought of all the possibilities in front of you. You will, without doubt, get this overriding sensation of complete and utter freedom. If you are anything like me, you will feel completely alive. You will feel like a kid again during the School Summer Holidays. The plan is …. there is No Plan! 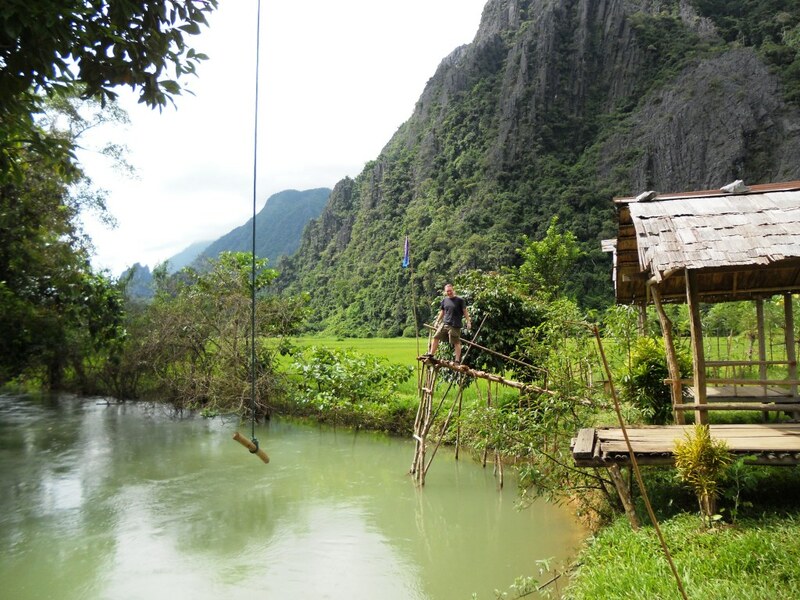 Having spent a good few days in Vang Vieng, it all of a sudden felt like it was time to move on again. Our friendly young hotel owner, Tea, booked the transport for us and we would leave around 8.30am next morning for what was supposed to be a 6 hour journey to Luang Prabang. The mini bus was full with only the front seats remaining, which was perfect really, as we had lots of space, reclining seats, and a front seat view of what was to come ahead. We had heard that this trip was particularly stunning, and serendipity, or politeness, whatever way you look at it, had given us the prime seats. From the broken English coming from the back, I could work out that our fellow travel companions, all young, were a combination of French, German and Israeli. Being in the front made it slightly difficult to get chatty, and it seemed however that there was a real bond within this group. 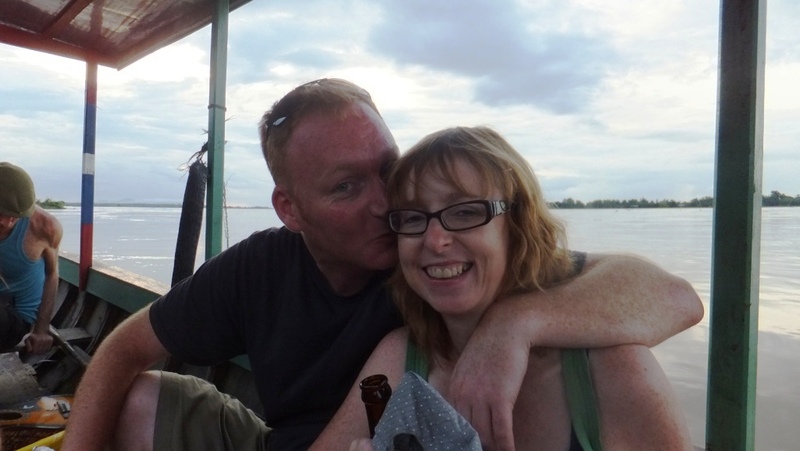 They had obviously been travelling together, or maybe had just come together as a result of the tubing in Vang Vieng. It was one of those mornings where I think both of us were not really up for socialising anyway, it does happen sometimes, and you kind of get bored telling your own story for the umpteenth time. Time then to kick back, relax and just take in the scenery. The scenery seemed to get even more impressive as we progressed. We had only been travelling for an hour when the bus pulled in for a pit stop. 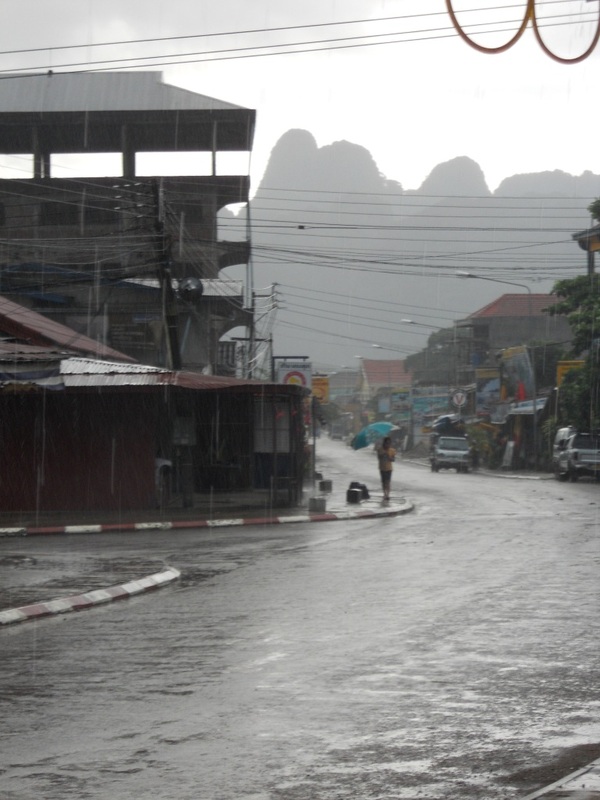 I looked at my watch, we had been up since 7.30am, the bus didn’t actually leave Vang Vieng until 10am. It was now 11am, we had been on the road for 1 hour at approximately 40km/hour. 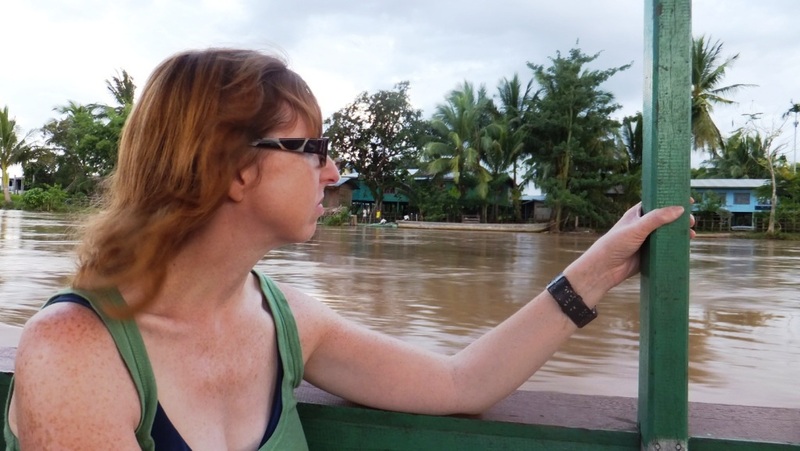 A trip back home that would 15-20 minutes – but this is Laos – Please Don’t Rush!! After a 40 minute break for the driver, who was obviously exhausted from a whole hour of driving, we were on our way again. 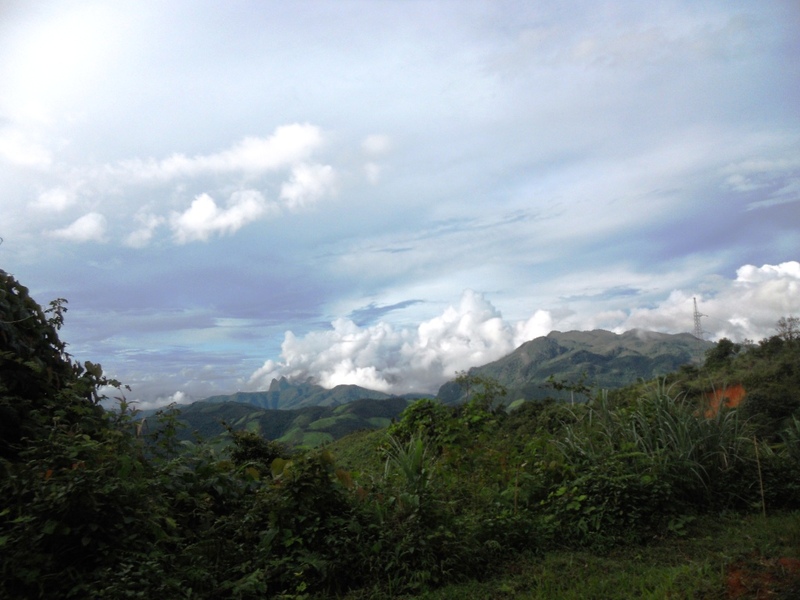 For the next hour, we stared in awe at beautiful green mountain scenery, covered in the most interesting cloud formations, natural beauty, a bit like a continual Glencoe. Then we hit a really bad muddy patch of road, got around the bend, and joined the tail end of a long stationary convoy of trucks, busses, mini vans and cars. 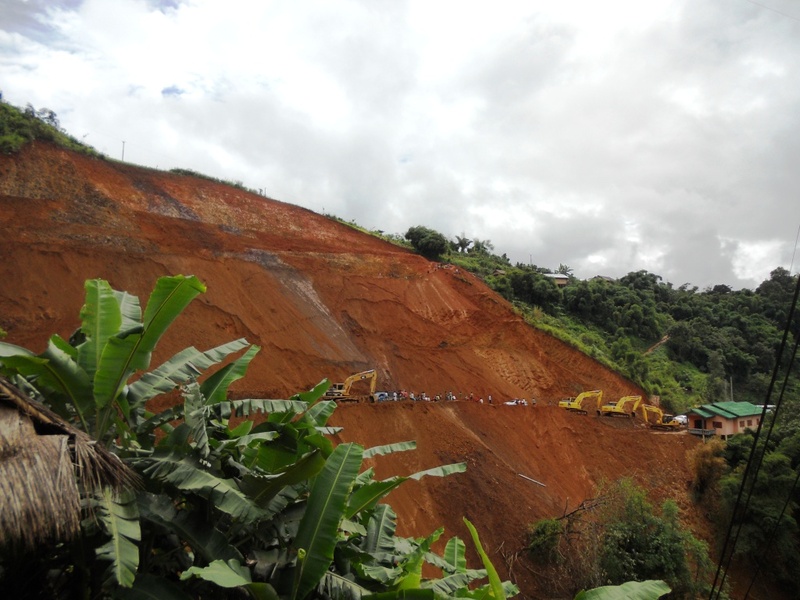 There were 2 diggers working up high trying to clear a massive landslide that looked about 7 or 8 stories high, and had completely blocked the road. This happens almost every other day during the rainy season, and it makes things extremely dangerous. Tons of waterlogged earth can avalanche down without warning and roads collapse making for slow arduous journeys. Everyone was milling about in the sunshine wondering when the road would be cleared, and after an hour or so, bored travellers who had been resisting temptation, succumbed and were buying cool cans of Beer Lao from temporary stalls set up by the side of the road by the locals from the nearest village. The good thing was that the locals were not exploiting the situation, and were charging the usual prices for food and drinks. Quite reasonable these people from Laos, although as usual, whenever we had a break at any of the “official” pit stops, just like the Motorway Services Stations back home, the prices always seemed to be highly inflated. Around 3 hours later, we were on the move again, and arrived in Luang Prabang in darkness around 8pm, totally shattered and exhausted. Of course, rather then take us straight to the old town city centre, first we would have to have a battle of wits haggling with the TukTuk drivers conveniently waiting for us at the Bus Station 6km out of town. Nothing is ever easy, but a few days here would allow us to recharge. Hotel room acquired, it was time for some food and cold beer. More about the Ikon Bar later. The border crossing was really quite easy, a TukTuk driven by Granny to the Friendship Bridge, passport photo’s obtained and stamped out of Thailand, we then hopped on the bus which took us directly to the Laos immigration point. 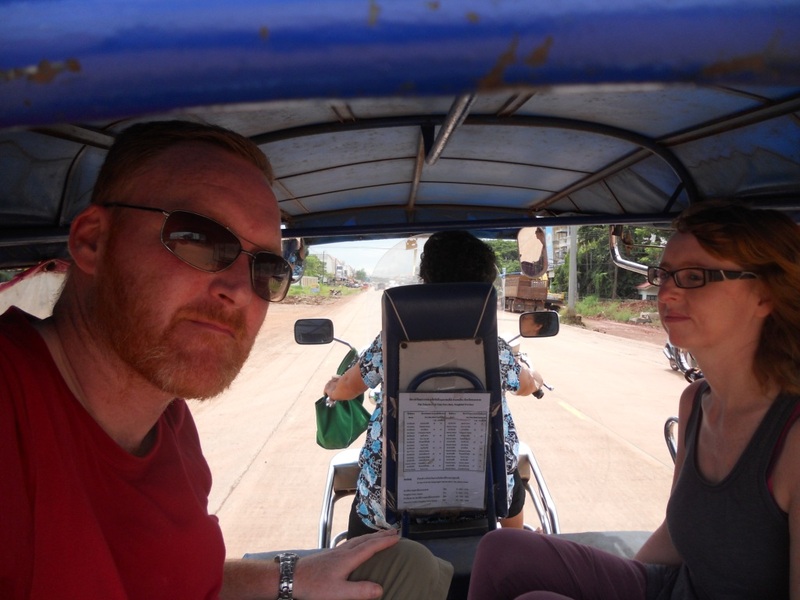 We filled in a form, handed over the entry fees in US Dollars, and waited for 10 minutes while we were hounded by TukTuk and Taxi Drivers for a fare to Vientiane. The longer you wait and show no interest, the more likely the price of the fare falls, and it did. So we accepted a 200 Bhat fare to take us straight to our chosen Guesthouse. 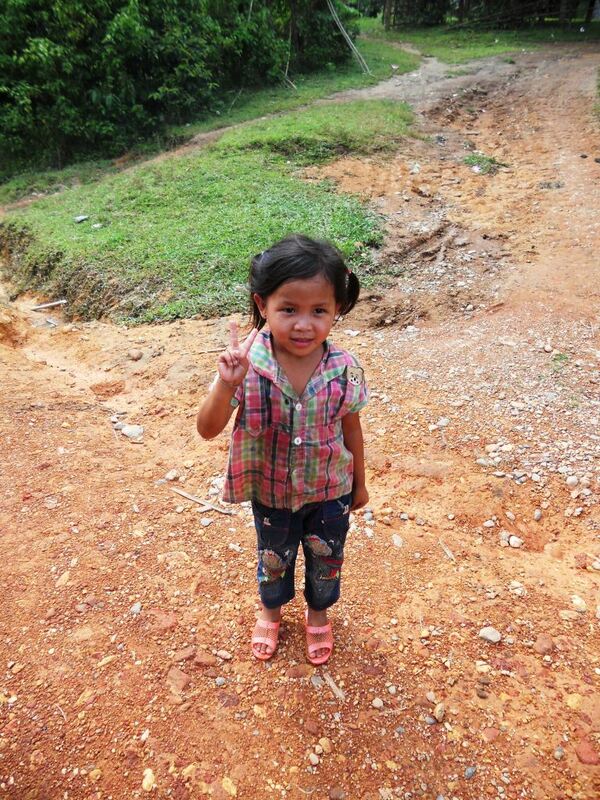 The whole journey from Nong Khai had taken just over an hour. The “City” has more of a town feel, and it is easily traversed on foot. The main central area, near Mixay Wat, is a small grid of streets maybe 3 or 4 maximum – so there is really no need for 10 or so TukTuk drivers waiting for a fare at the end of each. This was reminding me of Ubud, Bali, where you are constantly hassled for business every other minute by the shouts of “TukTuk Sir?”. It really can be quite draining having to say no thanks all the time, to the point where you just start to ignore these guys. 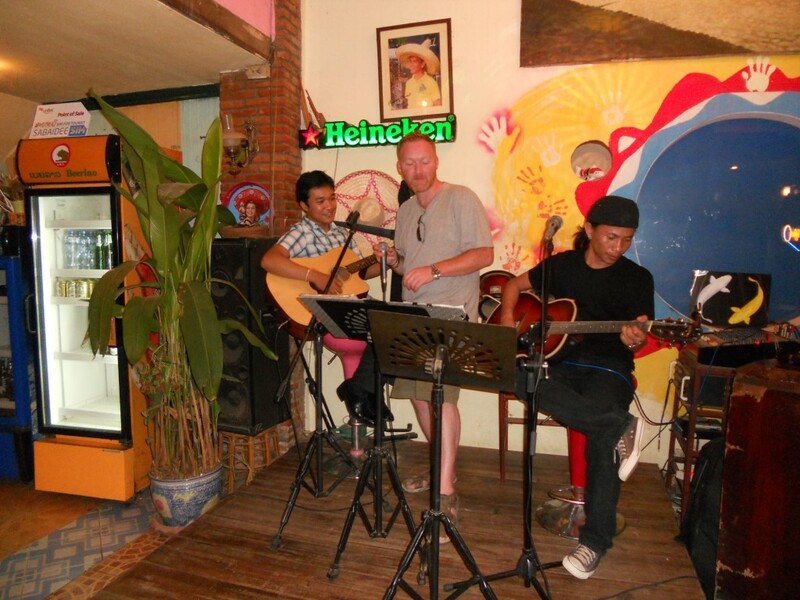 Vientiane does sound French, and it does have a very French feel. Streets are called “Rues”, and there is an abundance of Gallic Restaurants. It would only take a day or so to get our bearings, when we stumbled upon a mini Arc de Triomphe. The French obviously had a great influence when the country became a French protectorate at the end of the 19th century, and renamed it as the capital, the original being name being “Wieng Chang”. The Architecture is Franco styled, with massive colonial style villas and we noticed some kids playing the French game pétanque in the streets. 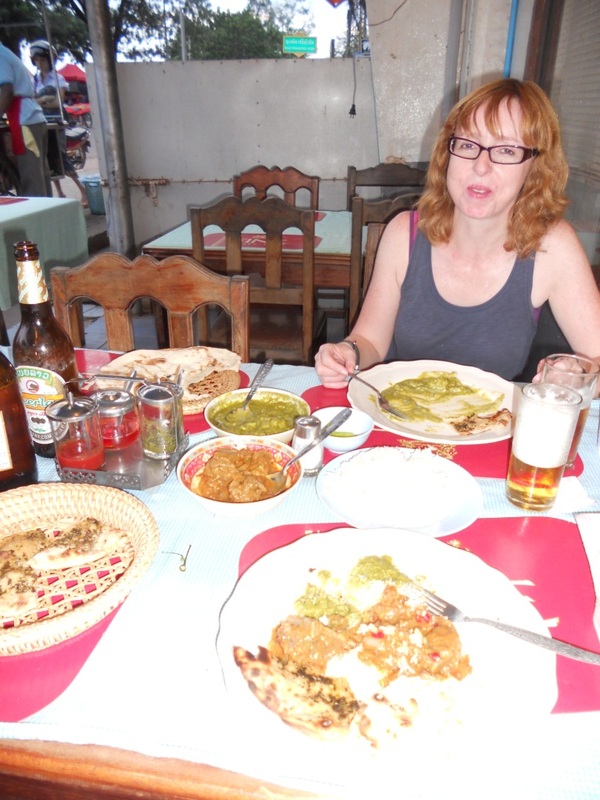 The food here has been great, not only local dishes, but a few decent Indian Restaurants as well. We were in heaven for a couple of nights with Lamb Curry, Tandoori Chicken, Tomato Aloo and fluffy light Roti’s. Michelle opted for some green stuff from The Exorcist. 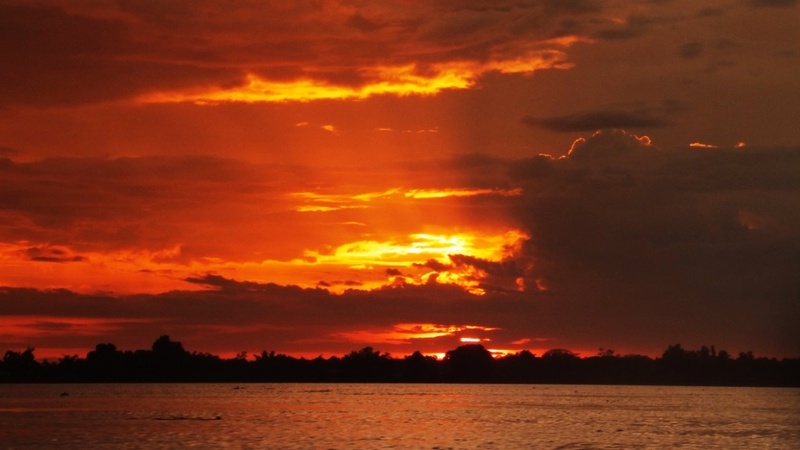 Our base was right on the Mekong, and taking a walk one afternoon, we found a huge local eatery right on the water, and sat down for Vietnamese influenced Fresh Spring Rolls, with a spicy peanut sauce dip and some pickled local vegetables while watching the sun going down as it cast spectacular luminance on the clouds. As the night ended, we grabbed a beer from a local shop and sat at the front of the hotel just finishing off the night, when Ewan from England and Jimmy from Scotland turned up, needing more beer. 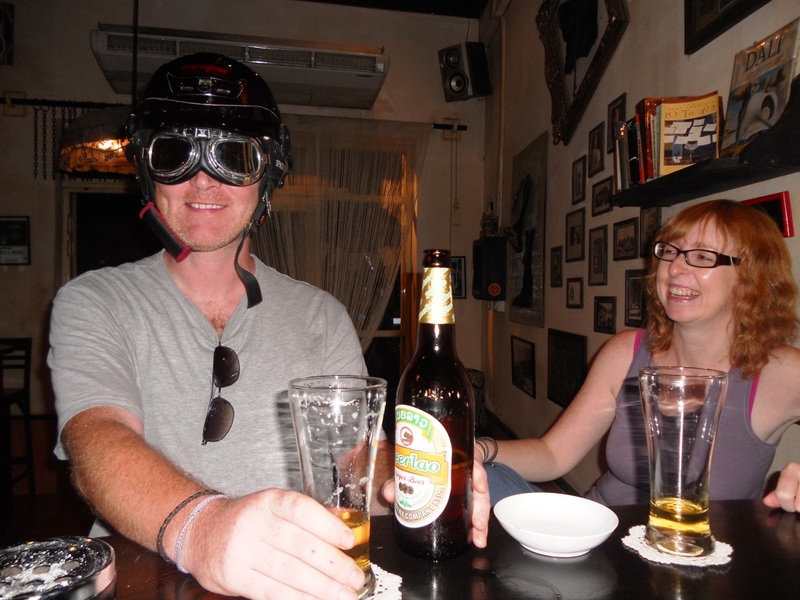 There is an 11.30pm curfew in Laos, but where there’s a will and all that. A local girl appeared on a motorbike, and for a small fee, could arrange this. 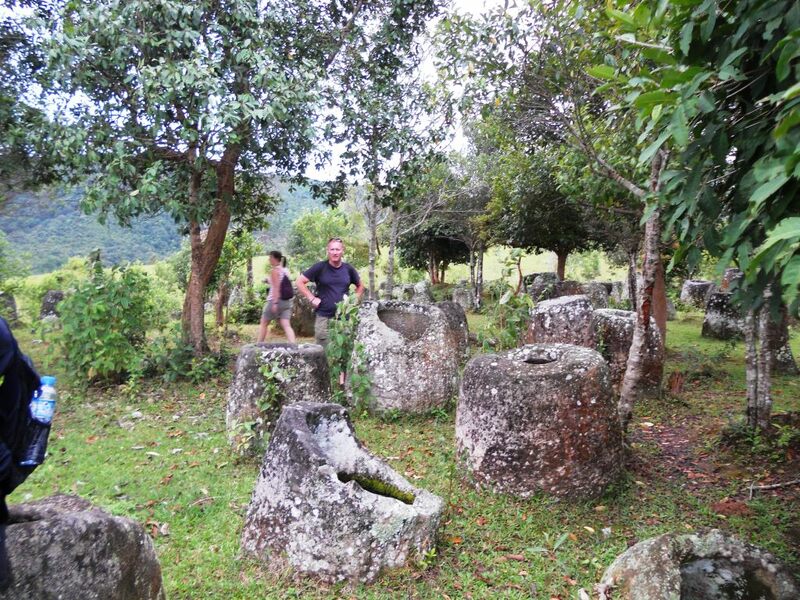 Ewan went with her, and turned up half an hour later with 2 large bottles of Beer Laos. By this stage, we were tired, staying up for another 15 minutes, before turning in and completely zonked at just a little past midnight. 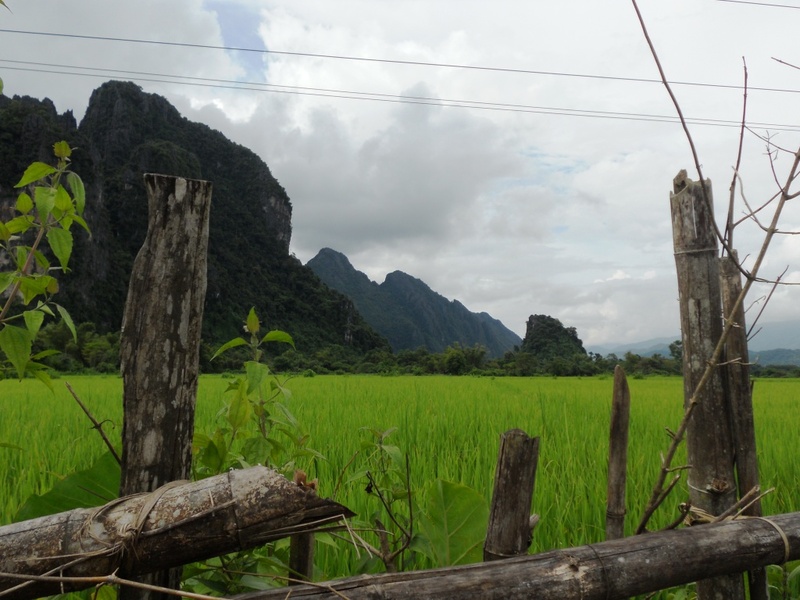 We decided to head up North to Vang Vieng. We booked an air conditioned mini bus for 9am next morning, both up, but feeling rough, we were a bit disappointed when a large vehicle with 2 makeshift benches in the back was waiting outside. We climbed on, and after 5 minutes of picking people up from their respective guesthouses, I was beginning to wonder if either of us would manage the 4 hour journey, given our current constitution. I was ready to stop the bus and get off. Luckily I didn’t, as we stopped shortly thereafter and were told to get on the awaiting mini bus. Luxury, we got the biggest seat in the front, and could sprawl out a bit. We stopped midway at some roadside eatery, and it was time for a wee hair of the dog, while Michelle was happy to just snooze on the bus. No sooner had I bought the beer, than I was dragged over to a bunch of locals, getting wasted with some local police on Beer Lao at 11am in the morning. 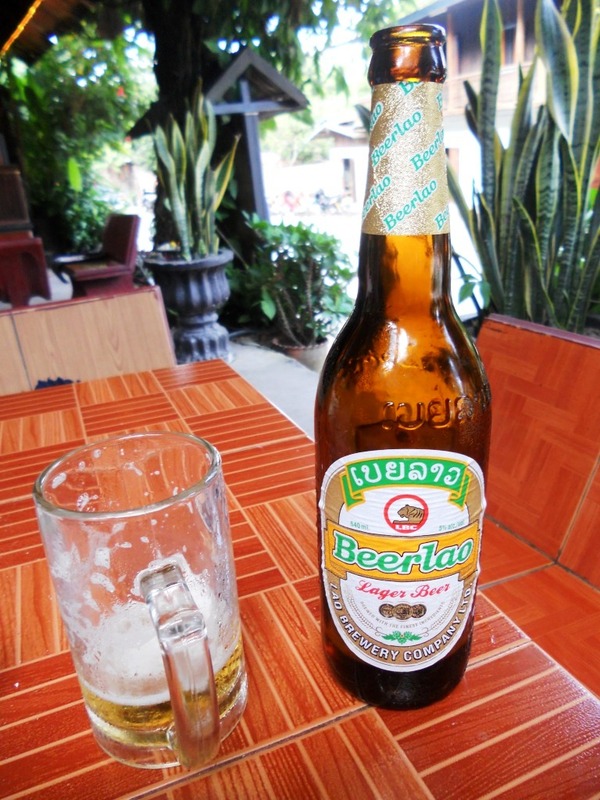 Beer Lao tastes great, it is light and refreshing, with no bitter aftertaste and it is a source of national pride. Reminds me in taste and body of Beer Bintang from Indonesia. Funnily enough, it is based on an old recipe for a Czech pilsner brought to Laos by a local woman who had worked over there in a brewery. The Lao share a bottle, each person has a small glass with a large ice-cube, and they will take turns at topping each other’s glasses up. The good thing about this, notwithstanding the communal social aspect, is that your beer is always cold. The locals were quite well on, especially friendly and amiable. They spoke to me, smiling while talking in broken English, and topped up my glass repeatedly – advising me “This is the Lao way, we always share !!”. 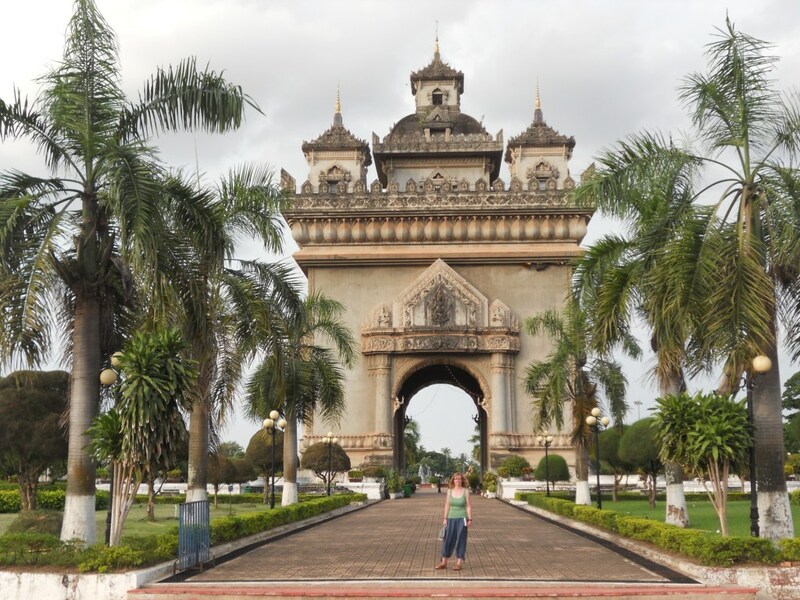 I was beginning to really like Laos, but Michelle just rolled her eyes when I got back on the bus half cut and told her what happened. I was bursting to relieve myself about half an hour into the remainder of the trip, turning green while praying for a pitstop. 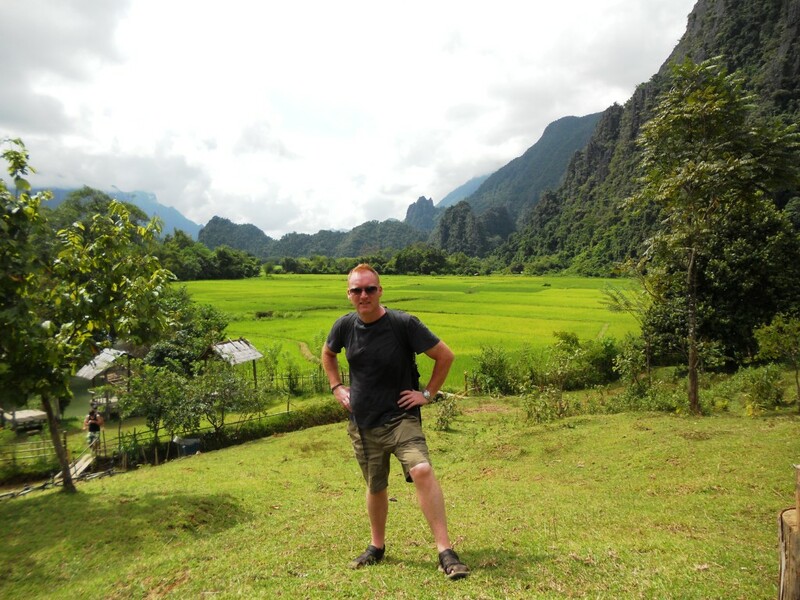 When we reached Vang Vieng, we stopped at the first hotel, and I left Michelle to do the negotiations while I legged it to the WC.